Today I will like to share with some amazing short secret code, you can use on your Nokai 3. 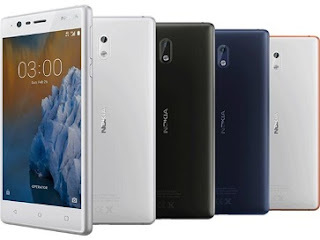 This code can be use to perform so advance functions on your Nokia 3 device with rooting it. So without wasting your time, here are some of the codes. *#62209526# - Get the MAC address of the WLAN adapter, this information is only available on the new models (S60 3rd edition) which have WLAN. When switching the phone on with the "ABC" key (pen) pressed, no application is started, it's a "Safeboot". *#7370925538# (*#Res0Wallet#) - Deletes the code for the "wallet" and erase all the content of the "wallet". Default lock code is 12345. *#7780# (Partial Format) - Reset to the original settings; some informations are also deleted and need to be re-entered. *#7370# (Full/Soft format) - this will resets all the phone memory (like re-format a disk); make sure to have full battery charged ! *3370# Enhanced Full Rate Codec (EFR) activation. It will automatically restart. #3370# Enhanced Full Rate Codec (EFR) deactivation. It will automatically restart. *#*#426#*#* - Debug information for Google Play service.With Google Play services, your Android app can take advantage of the latest, Google-powered features such as Maps, Google+, and more, with automatic platform updates distributed as an APK through the Google Play store.